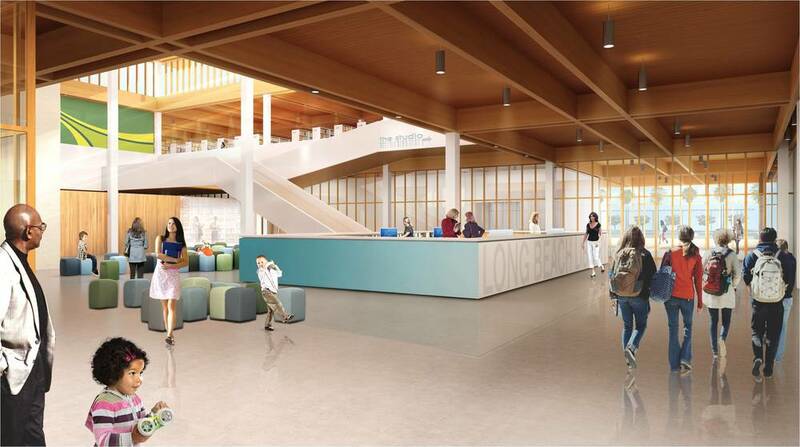 "I want a better library for my kids..."
The Jewel of the Park — your new Community Library! 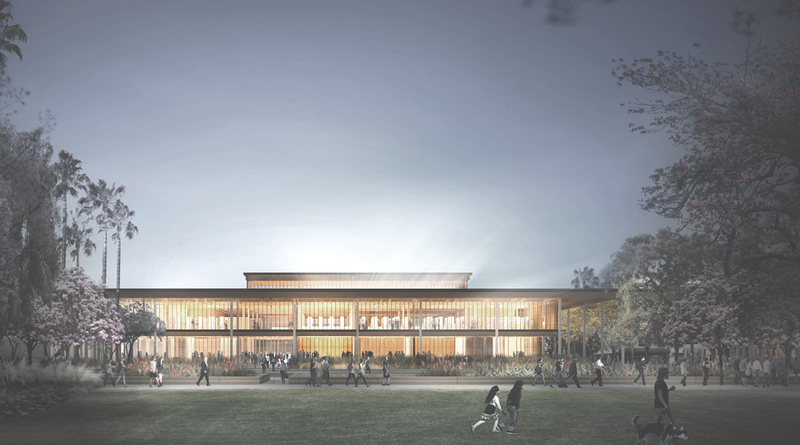 The largest new amenity in the Park is the new 93,000 square foot Main Public Library located in the northern end of the revitalized Lincoln Park. Conceived as a warm, inviting place with its wood beamed ceilings and glassy façades, the Library is open to the park and nature with infusion of natural light. Its deep overhanging roofs provide excellent shading allowing for a greater use of glass and creates a porch-like civic space overlooking the Park, blurring the line between the interior and exterior. The Library is a social place, multi-use by design, and available to individuals, groups, or events.